To compliment your instrument, we stock an extensive line of accessories for violins, violas and cellos. 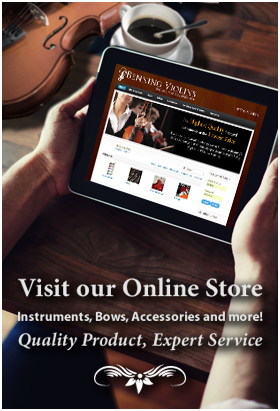 Trust Benning Violins to carry only the very best products offered by the most trusted brands. Benning Violins draws on our 60 years of experience to perform expert appraisals of fine violins, violas, cellos and bows. If you possess a violin, viola or cello that you believe has value and need confirmation, or you’re a musician that requires insurance for your valuable and fine instrument, Benning Violins offers quality appraisal service that has been recognized Internationally. Eric Benning accepts work to craft individualized violins, violas and cellos on commission. Renowned for his bench replicas of violins based on makers such as Stradivari, Guarneri, Pressenda, Bergonzi and Balestrieri, Eric will work with musicians to create a bespoke instrument to meet specific, personalized requirements. Benning Violins accepts fine violins, violas, cellos and bows for consignment sale. Only instruments of fine quality will be given careful consideration and, if accepted, added to our world-renowned catalog of fine instruments for sale. Because playing a better instrument can make it easier to express yourself musically, Benning Violins offers financing for violins, violas, cellos and bows. Benning Violins offers financing in order to help make in-store purchases of new or fine instruments or bows both affordable and convenient. Our rental program offers violin, viola, cello and bow rentals that are affordable and expertly set up for ease of play. In order to meet the needs of music students and teachers who require exceptional quality entry-level violins, violas and cellos, we operate one of the largest string instrument rental programs in Southern California. Restoration and repair of violins, violas, cellos and bows have long been a staple of our studio. Existing in the very center of the West Coast music scene has brought many of the world’s finest musicians through our doors. Hans Benning was Jascha Heifetz's luthier for the last 10 years of his life. Precision repairs were done on both his Guarneri and his Tononi violins as well as his bows. 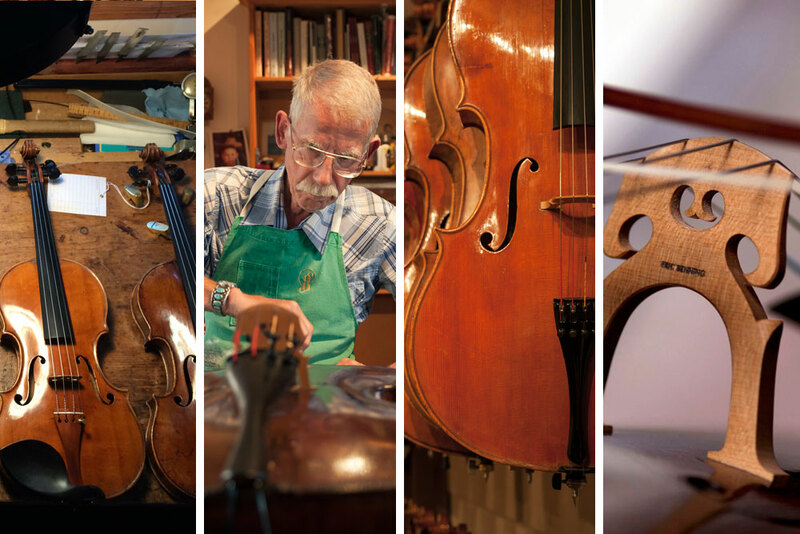 Benning Violins specializes in sales of fine violins, violas, cellos and bows. For over 60 years, we have handled the purchase and sale of countless noteworthy and historical instruments and bows crafted by makers such as Vuillaume, Stradivari and Guarneri, Peccatte and Tourte.